Elevator Equipment Corporation (EECO) was founded in 1946 as Elevator Equipment Company and manufactured and sold single function valves and jack units. Through the years EECO also developed and began manufacturing unit valves, power units, switches, and other components used in the installation of hydraulic elevators. The industry standard UV-5A and UV-7B hydraulic unit valves are manufactured and assembled in our original plant in California, where jack units, hatchway switches, car slings, platforms and other various support products are also produced. 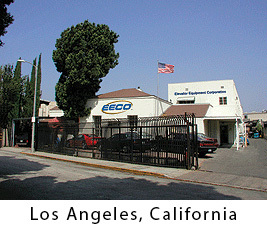 Since it's beginnings in Los Angeles, California, EECO has expanded into facilities in Richmond, Indiana. Now, our modern 100,000 square foot Indiana plant manufactures jacks, power units, car slings and platforms, and other mechanical and structural items, including the new UV-4R control valve for residential/LULA and low flow applications. EECO is pleased to list all major elevator companies as customers. EECO components have been furnished to these companies for installation in projects throughout the U.S. and Canada and in many European, South American, Asian and other countries as well. EECO's engineering, management and research staff is highly trained, with individuals who have many years experience in the manufacture and design of hydraulic elevator equipment. A number of these individuals hold undergraduate and advanced degrees in their field. Several are certified as registered professional engineers. EECO designs and manufactures products for the elevator industry. This includes everything from individual components to complete elevator systems. The companies and facilities that we have been privileged to work with is extensive. 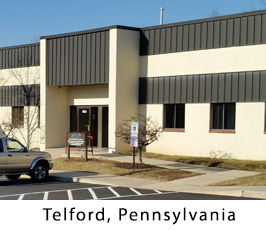 EECO has served the hydraulic elevator industry since 1946 and we continue to supply our customers quality hydraulic elevator products that are designed and manufactured in the USA. In addition, EECO continues to improve its products and expand its facilities to better serve its customers needs. EECO now offers its customers access to product information and company news 24 hours a day, seven days a week via our internet web site at www.elevatorequipment.com. Our commitment to technology innovation and customer support is second to none. EECO is a long time member of the U.S. National Association of Elevator Contractors and the Canadian Elevator Contractors Association, and its products are certified by the UL, CSA and CWB organizations.